Here is a short compilation of our pearly DOs and DON'Ts. If you follow these simple rules, your pearls will look gorgeous for many years to come! Avoid contact with acidic foods such as fruit juices and salad dressings. If you want to see what happens to a pearl when exposed to acids, read our post Following in Cleopatra's Footsteps. Remove your pearls before working out or doing housework. Never clean your pearls in an ultrasonic cleaner, it is very damaging to their surface! Never clean your pearls with a toothbrush or abrasive pad. 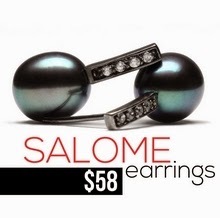 Have your pearl necklace or bracelet restrung at least once every two years. 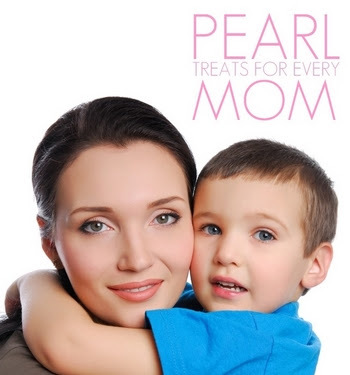 Caring for your pearls is essential, so with each order at Love My Pearls, you can be sure to receive a free pearl cleaning kit. Each shiny packet includes pearl two cleaning tissues generously soaked in a gentle cleaning solution and an ultra-soft microfibre pearl polishing cloth that will give you perfect results every time. Simply swipe your jewels using one of the moist tissues then dry them with the polishing cloth. Our kit has one advantage over soaking your pearls in a soapy water - it prevents you from wetting the pearl necklace thread too much, which keeps your strands in good condition for longer. Do you have your own well-tested and carefree pearl care routine?